Behind the fascinating sound of our musical devices stands the history of their creation. And even though some people do not want to bore themselves with facts and figures, the majority of such stories are truly mesmerizing and jaw dropping. As you read them, you realize how limitless the human possibilities are and how significant even the smallest events can be. Sometimes the occurrences line up in the most wonderful way and become the basis for creating innovative devices that change everything. 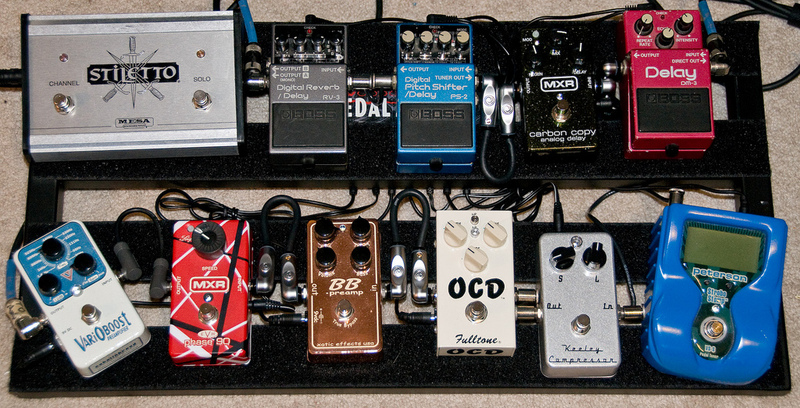 Today we are going to talk about the history of wah pedals and see how this legendary unit was brought to life. It was 1964, the year when Beatles was about to fly across the ocean and introduce large crowds of USA to their music. As they were getting ready for the USA tour, they realized that their gear was not exactly suited for such big audiences. They wanted their sound to be audible even to those in the back rows. At the time the amplifier they were using was VOX AC-30, with only 30 watts. Jennings Musical Industries (JMI), the company which was developing the VOX amplifiers, was notified that something bigger was needed. So they produced a 100-watt beast which was referred to as “Super Beatle”. The increase popularity of Beatles in USA subsequently resulted in enhanced demand for VOX amplifiers. Shipping the UK-made amplifiers to America was expensive, so JMI ultimately sold the right of manufacturing the VOX products in USA to the small Thomas Organ company. And that is when the course of innovative events started taking place. In 1965, Thomas Organ decided to make the VOX amplifiers cheaper without compromising the sound quality. One of their engineers, Brad Plunkett, started thinking small and solving the problem with meticulous approach. He noticed that all of AC-100 amplifiers had MRB (Mid-Range Boost) knob, which rounded out low and high frequencies and accentuated the mid-range, creating smoother sound. But these knobs were expensive, they costed somewhere around 4$. So Plunkett decided to substitute them with a potentiometer. At a fraction of the cost, it would be able to create the same effect by dividing the voltages and acting as a variable resistor. After spending some time with the constituents of the amplifier, the young engineer was finally able to modify the circuitry in a way that would filter the frequencies with potentiometer. The latter had to be turned and the desired effect would be achieved. Of course, they had to test the new creation, right? Plunkett asked his friend to plug his guitar into the amplifier and start playing. As he rotated the potentiometer, the unit emitted “wah-wah” sounds, that were groovy and fascinating simultaneously. But there was one minor issue left – the guitarist would not be able to twist the potentiometer and play his instrument at the same time. So he looked around, found the VOX Continental Organ volume pedal, jammed the potentiometer inside and wired it with 9V battery. This way the guitarist had the ability to fluctuate the frequencies with his foot. The idea of employing “wah-wah” sounds was quickly caught on among the heads of the company. Initially, the pedal was marketed for wind instruments and was given the name of Clyde McCoy, jazz trumpeter who was renowned for using the wah effect in his performances. Later, it was implied that the pedal sounded like a crying baby, so the name was changed into the Cry Baby (and remains the most prominent wah pedal till this day). And, of course, the guitarists started to incorporate this groovy effect into their performances as well. Frank Zappa, Jimi Hendrix and Eric Clapton saturated their music with wah sounds, hitting the records such as “Tale of Brave Ulysses”, “Up From the Sky”, “Little Miss Lover” and of course the most renowned “Voodoo Chile”. This pedal was used with various techniques. Some would stomp it slowly and created a continual, elongated effect, while others would turn to the rhythmic presses and emit short wahs. Either way, the fame of this pedal seemed to have no boundaries or limits. Due to the development of digital modeling and effects processors and the increased popularity of synthesizers in 1980s, the unsophisticated, “rudimentary” wah pedal became a bit outdated. Less and less musicians turned to it as the time passed. 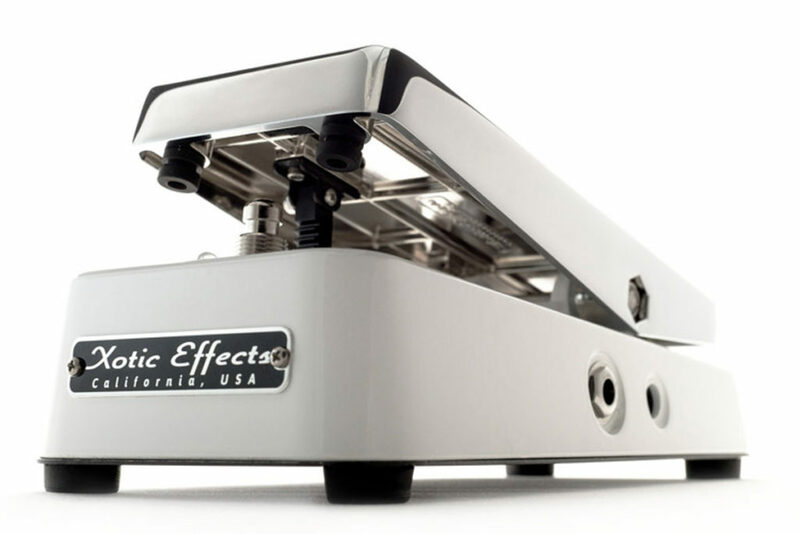 To make matters worse, Thomas Organ wah pedals were inconsistent in quality and led the company to rethink its production. And when the company itself was being shut down, the manufacturing of these stompboxes were finally ceased. Luckily, it was rediscovered by Jim Dunlop, who bought the right of the pedal production. He renovated it, changed the circuitry and pots and basically upgraded it to meet the needs of newer development. Thanks to him, the wah pedal did not fade into history and became a hit again. Guns N’ Roses, Metallica, Nirvana, Alice in Chains, Pearl Jam and many other musicians utilized the effect in their music persistently. As you can see, our beloved wah-wah pedal had its ups and downs but still withstood all the handicaps and remains one of the most employed effects nowadays. Even though it was created due to the fortuitous discovery, it turned the music world upside down, brought big changes into the sound and became an integral part of the tracks we adore so much. It’s all about the groove, am I right?